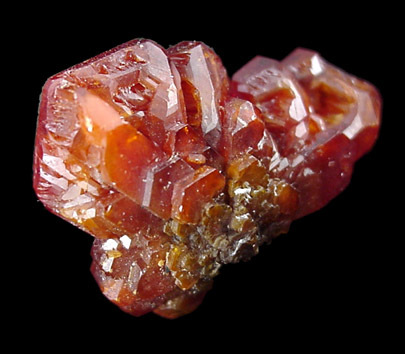 Description: Cluster of several interconnected, red vanadinite crystals with no matrix attached. 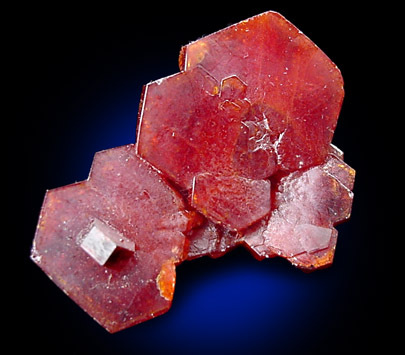 The crystals arranged in a slight arc. 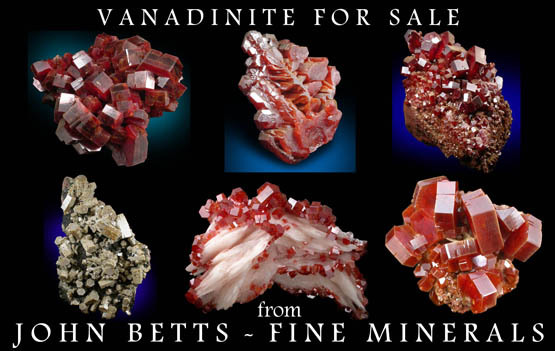 Good luster and fully crystallized on all faces.